ESP8266 is very highly integrated SOC which includes Xtensa LX106 core processor, RAM, RF front end and allow WIFI TCP-IP stack to be implemented on board with just few components beside ESP8266. It's very new but promising IC and it attracted a lot of attention with its launch. 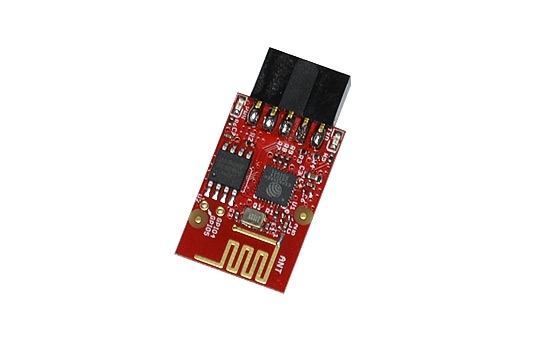 MOD-WIFI-ESP8266 is small board with an integrated antenna and UEXT connector and allows ESP8266 to be easily connected to all Olimex boards via the UEXT connector thus adding WIFI capabilities. MOD-WIDI-ESP8266 is UEXT module with the famous ESP8266 UART to WIFI IC. 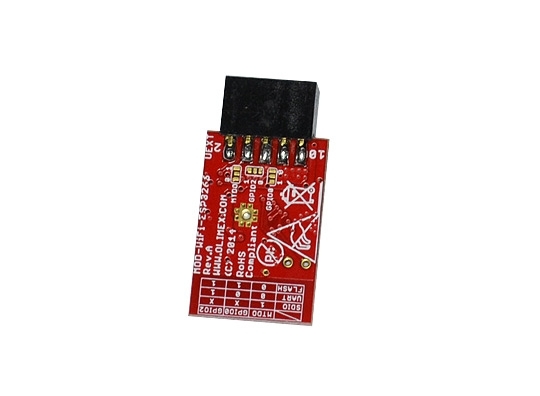 This module allows all our development boards with UEXT connector to have access to WIFI via simple AT command set. Our module comes with installed 2MB of SPI Flash while our competitors modules have just 512KB of SPI Flash. The idea of MOD-WIFI-ESP8266 is to use it as an easy hardware expansion of existing Olimex boards. That is why it has UEXT connector. You plug it in another board with UEXT connector and the hardware connections are complete. It is visible in the schematics that MOD-WIFI-ESP8266 uses only first 4 pins of the UEXT – #1 (3.3 Vcc), #2 (GND), #3 (RXD), #4 (TXD). This means only a data UART interface is available. The rest of the pins of the chip are not routed for easier access - if you need more signals consider MOD-WIFI-ESP8266-DEV or ESP8266-EVB. To update the firmware of the board you would need to change the position of the SMT jumpers.